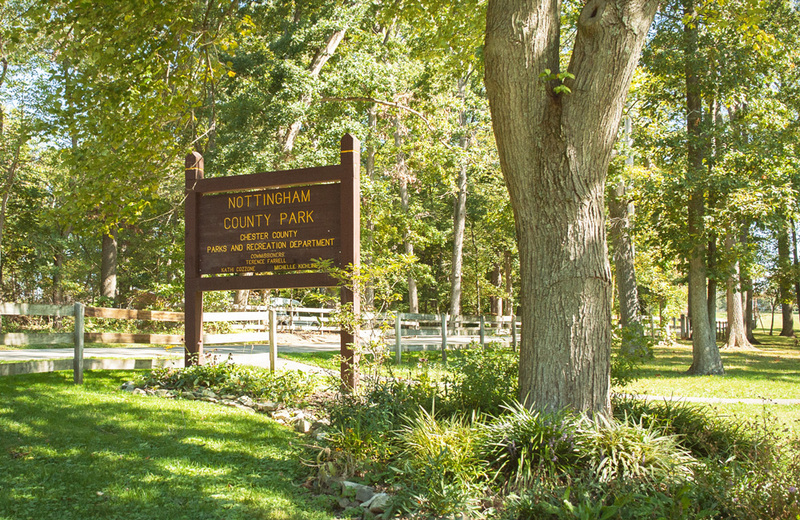 Chester County’s Nottingham County Park has increased in size with the acquisition of 80 acres of preserved land donated by The Nature Conservancy. WEST CHESTER — The Chester County Commissioners announced Monday the acquisition of 80 acres of preserved land which are attached to Nottingham County Park, and will extend the size of the park by more than 10 percent. The additional acres were conveyed at no cost to Chester County by The Nature Conservancy (TNC) which has owned the land for 20 years. The Nature Conservancy purchased the 80- acre tract of land in 1998 for $275,000, using conservancy, state and county funding for the original purchase. In reviewing its property portfolio, the Conservancy determined that transferring TNC land to the County would allow for integrated and improved management across the conservation area and ensure excellent management. The addition of the 80 acres brings Nottingham County Park’s total size to 731 acres. The park sits atop an outcropping of serpentine stone greater than one square mile in size and was once a site for mining. Serpentine, a geological outcrop of rare, light-green rock found only in three small geographic areas in all of North America, has soil so low in essential nutrients and so high in some metals that most ordinary plants will not grow. The barrens have their own community of plants, some of them globally-rare, with practically no species in common with the surrounding forests and fields. 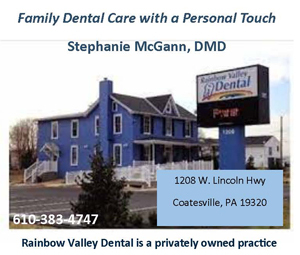 “Chester County has many rich resources,” said County Commissioner Terence Farrell. “The acquisition of the additional acreage will help protect the serpentine barrens and will initially continue to be used as publicly accessible open space with continued agricultural use. 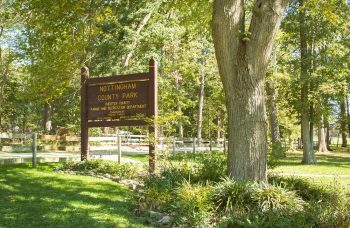 “Future plans for the additional acres include an extension of Nottingham Park’s Buck Trail, and the county Facilities & Parks Department will begin implementing management and stewardship practices to control invasive species,” added Commissioner Farrell. Dedicated in September 1963, Nottingham Park, is located at 150 Park Road, in Nottingham.